I put the professional development list at the bottom of the page. I meant to share this with you a couple of months ago. 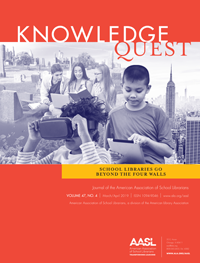 In April, I wrote an article for School Library Connection. In the article, I reflected on some of my activities, including coordinating a poetry slam in my neighborhood. Soon after the article was published, I received an email asking me for tips for hosting a poetry slam. Here are some of the things that I learned. First, you must decide if it will be a community or school event. Personally, I feel that it is always good to reach out to the community. However, limiting the poetry slam to people within your school could make it more manageable. My poetry slam was at the public library. At my poetry slam, it turned out that I had too many people for my space. (Go ahead and laugh.) The event was open to the community, and I had underestimated the power of “word of mouth.” For this event, I physically reached out to the community using a grassroots approach, calling and visiting local stores, local youth organizations, schools, churches, and daycare centers. Many places were kind enough to allow me to hang flyers. I underestimated my community’s interest and support. Since then, my technology skills have advanced considerably. Today, my marketing approach would be different. For instance, I would include social media. I would advise you to have students RSVP if you are holding your event after hours in a small space like your library, especially if you advertise your program to the community. 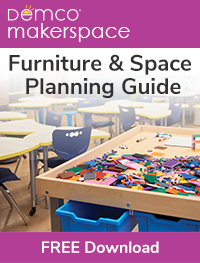 By the way, this is a great collaborative project to do with your local public librarian. My budget was small and included money for snacks and prizes. Over the years, I have learned that one of the best ways to promote my programs is to include food. While I think people would have come without the need for money, I offered $75 for first place, $50 for second place, and $25 for third place. I spent $25 on snacks because food was part of my marketing strategy. The atmosphere was informal. Since I did not require participants to RSVP, I registered everyone just before the event. I wrote down their names and called each participant to the stage. At the end, I did the judging “Apollo Theater” style. Perhaps you don’t know what that means—the crowd cheered the loudest for the poet they liked the best. 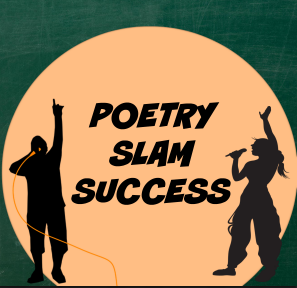 Having a poetry slam is not just about students performing poetry. Poetry is an art form that shares emotions, and hence, poetry slams are about building a sense of community. In my opinion, the biggest creativity boost is the ability to publish students’ original poetry. One of my best experiences in school was when one of my English teachers arranged for my class to create a book of our work. I still have that book today. I was only 12, but I was so excited to see my work in print. That experience is part of the reason why I write today. It gave me confidence. Think about it. For most of my life, I have known part of my purpose is to disseminate information in various formats. These are the types of experiences that instill pride in students and help them to develop a trajectory for their lives. Today it is easy to self-publish books using a website such as SmashWords.com or LuLu.com. Your students and parents will appreciate your efforts. Moreover, you will be creating a personalized learning experience for your students, while connecting to the school curriculum. It’s also another way to meet the requirements for Every Student Succeeds Act (ESSA). 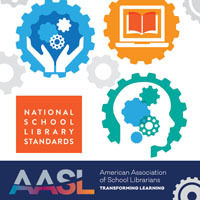 From reaching out to the community with a poetry slam, to encouraging your students’ creative efforts with a book of their own, school librarians can develop authentic learning experiences that inspire students. Although it was low-cost and required minimal effort, the poetry slam was one of the most personally, fulfilling programs that I implemented. I felt good about it because when I looked at the children, I knew they were learning and were passionate about the activity. I encourage you to have a poetry slam of your own. It’s worth it. After all, you might discover the next Poet Laureate! Description: Would you like to make the workflow in your classroom more efficient, while enhancing student learning, collaboration, and technology skills? Microsoft Classroom uses Office 365 to provide a platform for learning, collaboration, and resource management within the modern teaching environment. Join Tiffany Thompson as she shares how Microsoft Classroom streamlines work by giving teachers the ability to distribute, collect, and grade assignments within Office 365. She will explore features such as conversations, class notebooks, shared files, and embedded content, and show how Classroom is available anywhere, anytime through any web browser. Tiffany will also explain why it is the perfect learning management tool for novice or veteran, tech challenged or expert educators. Come discover why Microsoft Classroom is the ideal environment for online, flipped, or blended learning classes, as well as for redefining learning and helping students build ICT skills. Description: Would you like some new ways to promote creativity, collaboration, communication, culture, and curriculum in your classroom? Join Microsoft Fellow Todd Beard as he unwraps some presents that will make every teacher joyous – during the holiday season and throughout the year! Todd will share 12 tech tools that he uses to build a community of educators, parents, and students from every grade level. He will explain the function of each tool and share classroom tips for using tools such as Microsoft Snip, Minecraft, Excel Survey, FluidMath, Nearpod, and many more! Description: Join Simplek12 for this amazing line-up of information-packed webinars for teachers by teachers!